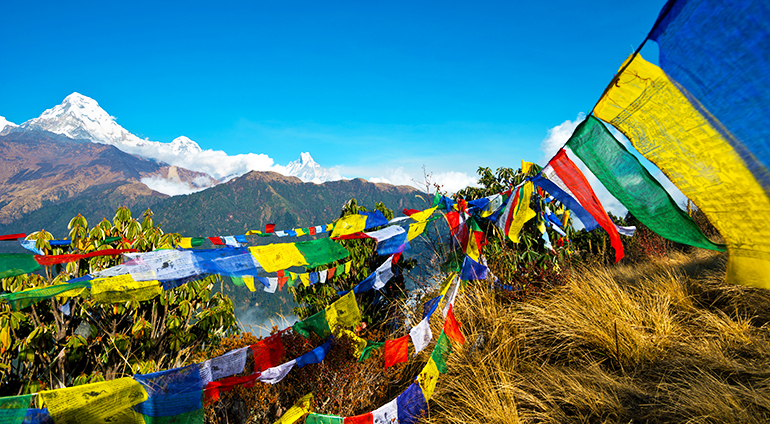 The blue skies and warm days of October and November make Autumn the most popular time to visit Kathmandu, especially for those hoping to hit Nepal’s trails, with average temperatures ranging from 15 to 20 degrees. The spring months of March and April can also be favourable, also with averages ranging from 16 to 20 degrees. The monsoon rains of June to September, whose major showers often take place at night, means these months are considered low season and hotels drop their rates. The wet weather’s best avoided if you are wanting to trek as clouds can obscure the usually spectacular mountain views.